Special thanks must go to Susan Tomkins, the Heritage Education Officer and Archivist in Beaulieu, who has supplied so many records and directed me in the right lines and without whom I would still be floundering around in the late 1800s. with children George, Joan and Reginald. ANN READ abt 1849: 1851 - 2 yrs, with parents. 18 yrs old at time of marriage and husband a 26 yr old mariner, son of George, lab. ARTHUR WILLIAM READ 1886: 1891 - 5 yrs, living with family. 1901 - yrs, bakers assistant, living Lyndhurst with parents and siblings. AYLIFF JANE READ 1852: 1861 - 9 yrs, living with parents. CATHERINE READ 1826: 1841 - 10 yrs, ? female servant b. Out, dwelling with rector William Tyrell in Beaulieu Parsonage. 1851 - 24 yrs, living with parents and daughter in Bucklers Hard next to Gasbeys in census. CATHERINE READ 1861: 1891 - 29 yrs, single, housemaid in Lyndhurst. CHARLES READ 1841: 1851 - 9 yrs, living with parents. 1861 - 19 yrs, living with parents. CHARLES READ 1866: 1881 - 14 yrs, errand boy, living with brother and widowed father. 1901 - bricklayers labourer, dwelling Chatham, Kent. DAISY ELLEN READ 1897: 1901 - 3 yrs, living Lyndhurst with parents. 1911 - 13 yrs, at school, living with parents. ETHEL KATE READ 1891: 1901 - 9 yrs, living Lyndhurst with parents. FRANCIS READ 1834: (stepfather of James - not father as had originally assumed) 1841 - Francis 7 yrs (son of John and Ann Read) living with parents. 1851 - Frank 17 yrs carpenter living with parents. 1861 - Francis, 27 yrs, carpenter, living Northgate, Beaulieu, with wife Mary in Beaulieu - (next in census to Walter and Louisa Read). 1871 - 1881 - Francis, 47 yrs, carpenter, dwelling Southampton Rd, ? Cottages, Lyndhurst with wife Emma. 1891 - 57 yrs, 57 yrs, dwelling Foxlease Terrace, St Michael, Lyndhurst with wife, an unmarried son (John) and two Sims grandchildren b. Rude and Winchester, Alice 11 yrs, and Herbert 7 yrs. 1901 - Francis, 67 yrs, carpenter, dwelling ?Tosdeane Terrace, Lyndhurst with wife and two sons (in reality stepsons) John and Harry - both unmarried. Witnesses at marriage to Emma - James Read, Eliza Glaseby. 1911 - 77 yrs, Carpenter pensioner, dwelling 3 Foxlease Terrace, Lyndhurst (4 rooms) with wife of 36 years and Emma's unmarried son John. (They had no children together). Died aged 79 yrs. Wife MARY abt 1830: 1861 - 31 yrs. Wife EMMA READ nee CLASBEY 1829: 1881 - Says 31 but should be 51 (though quite clearly 31 on original document) Funnily - she is married and his wife but enummerator has him as unmarried! 1891 - 61 yrs. 1901: 71 yrs. 1911 - 81 yrs. HARRY CECIL READ 1887: Birth registered 1Q 1888, New Forest, 1891 - 3 yrs, living with family. 1901 - 13 yrs, milkboy, living Lyndhurst with parents. 1911 - 23 yrs, groom, visiting in Harris household, 2 Guthrie St, Chelsea. Henry Cecil Read. Service Record 1914. Middlesex Regiment No. 2986. Enlisted aged 25 yrs, 8 mths. Was living with parents up until time of enlisting. Height 5' 5 1/2", 140 lbs, Expanded chest measurement 38 inches, range of expansion 2 1/2 inches. Fresh complexion, grey eyes, brown hair, Church of England, Scar on lower lip and scar on back. Joined Caxton Hall 2/9/14 Middlesex attested. Posted as a private, 6/9/1914. Posted BEF (FRANCE) 25/7/1915. There until died of wounds 25/4/1916. Place not stated. In army 1 yr, 236 days. Father - James Read - acknowledged receipt of "1914-1915" STAR granted to Private H C Read, Middlwsex Regiment, July 15 1920. Father - James Read - acknowledged receipt of BRITISH WAR & VICTORY MEDALS granted to Private H C Read, Middlwsex Regiment, Feb 27 1921. HENRY "HARRY" READ 1858: 1881 - 22 yrs, butcher in Royal Navy, living with sister, brother-in-law, George Burnett, and family in York St, Alverstoke. HERBERT MAJOR READ 1884: 1891 - 6 yrs, living with family. 1901 - 16 yrs, letter carrier, living Lyndhurst with parents. 1911 - 26 yrs, cycle agent, dwelling Romsey Rd., Lyndhurst with newly acquired wife in a 5 roomed house. church Lyndhurst Born 03 11 1913. Died 22.12.1990 Age 76. 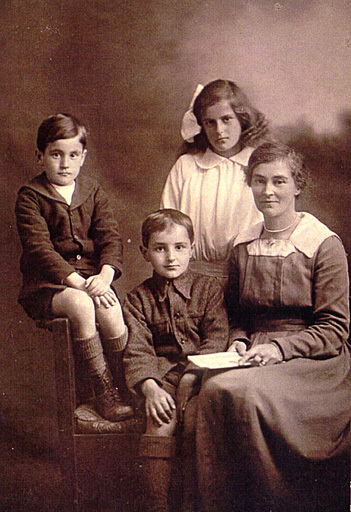 Other children - Thomas, Leila, Jane, Annie Ellen, Joseph. Wife PHOEBE KILLICK: 1911 - 23 yrs. JAMES READ b. 1856: 1871 - Agricultural laborer along with brother John. 1881 - 24 yrs, Butler, domestic servant, dwelling Bartley, Eling, Hampshire with wife. 1891 - 34 yrs, general labourer, dwelling Clarence Rd (Custards) Lyndhurst, with wife and 5 sons. Also James Feltham 80 yrs, b. Broadchalk, Wiltshire visiting. 1901 - 44 yrs, yardman for builder, dwelling Picks Hill, Lyndhurst, with wife and 8 of their 9 children. Oldest daughter never seems to be in residence. 1911 - 54 yrs, builders groom. dwelling Racecourse, Pikes Hill. Lyndhurst, (4 rooms) with wife, son Walter and daughter Daisy. By this time they have been married 32 yrs and had 9 children, all of whom are living. Wife MARY ANN MAJOR CLUETT 1854: 1881 - 24 yrs. 1891 - 36 yrs. 1901 - 46 yrs. 1911 - 56 yrs. JAMES W READ abt. 1874: 1881 - 3 yrs, living with parents. JANE READ abt 1831: 1841 - 10 yrs, living with parents. 1851 - 19 yrs, servant in Lymington district. JANE READ abt 1849: 1851 - 2 yrs, living with mother in her grandparents house. JANE ELIZA READ abt 1880: 1881 - 1 yr, living with parents. JOHN READ b. abt 1808: 1841 - 30 yrs, keeper, dwelling Harford Heath Cottage (next to James and Sarah Read), with wife and two children. Mother-in-law Ann Saunders, 65, independent also in residence. 1851 - 43 yrs, gamekeeper, dwelling Harford Heath (next to James and Sarah Read), with wife and 3 children. Mother-in-law Ann Saunders, 75, former dressmaker also in residence. 1861 - 53 yrs, gamekeeper, dwelling Harford Copse (next to James and Sarah Read), with wife and two children. According to marriage register both of Beaulieu. Both signed. Witnesses James amd Sarah Read. By Banns. Wife ANN SAUNDERS: daughter of Samuel and Ann Saunders - dressmaker b. Exbury about 1776. 1841 - 35 yrs. 1851 - 48 yrs. 1861 - 58 yrs. JOHN READ c. 1823: John's father, William, a labourer at time of John's marriage. John a shoemaker. Witnesses at his marriage to Emma Glasbey - Thomas Foss, Catherine Read. 1851 - 27 yrs, cordwainer, living Bucklers Hard with wife and baby daughter. 1861 - b. Boldre, school master. Wife EMMA GLASBEY: 1851 - 21 yrs, 1871 - Emma, widow, Park Cottage with John, James, Henry and Catherine. From here on see her as Francis's wife. JOHN READ abt 1852: 1881 - 29 yrs, agricultural labourer, dwelling Longparish St, Longparish with wife and three children. 1901 - coal merchant, Longparish. Wife MARIA LANGFORD abt 1854: 1881 - 27 yrs. JOHN READ 1854: 1911 - 57 yrs, builders labourer, living with mother and stepfather. JOHN READ 1889: - see Matthias John. MABEL READ 1894: 1901 - 6 yrs, living Lyndhurst with parents. 1911 - 16 yrs, with Aunt Ellen Cluett in Market Place, Sturminster Newton. MARK READ abt 1839: 1841 - 2 yrs, living with parents. 1851 - 12 yrs, living with parents. 1861 - 23 yrs, coach body maker, boarding Portsea in Pelham household. MARY ANN READ 1852: 1881 - 27 yrs, married with 3 children - younger brother Harry also living with them. Husband GEORGE BURNETT abt 1844: 1881 - 37 yrs, carpenter and joiner, living York St, Alverstoke. MATTHIAS "JOHN" READ 1889: Birth registered 1Q 1890 New Forest. 1891 - 9 yrs, living with family. 1901 - John, 11 yrs, scholar, living Lyndhurst with parents. Died aged 75 yrs. ROBERT J READ abt 1876: 1881 - 5 yrs, living with parents. THOMAS READ 1861: 1881 - 19 yrs, baker, living with brother and widowed father. 1901 - corn miller in Longparish. WALTER JAMES READ 1881: 1891 - 9 yrs, living with family. 1901 - 19 yrs, Postman, living with parents. 1911 - 29 yrs, postman, living with family. Walter James Read - enlisted Army 7/12/1915. Discharged 15/4/1918. Reg No. 24745 Hants. Regiment. Probate: Walter James Read of Maybush Cottage, the Racecourse, Lyndhurst, died 19 Aril 1919. Administration Winchester 11 August to James Read gardener. Effects £116 13s 3d. WILLIAM READ b. abt 1790: Able to sign his own name at time of marriage. William and Frances said to be of Badesley at time of all three children's christenings. William described as a shepherd. 1841 - 50 yrs, Agricultural labourer, dwelling Park Cottage with wife and two children. 1851 - 61 yrs, b. Chickerell, dwelling Bucklers Hard with wife and daughter Catherine, 24 yrs and grandaughter Jane, 2 yrs. Living next to Glasbeys. Labourer at time of son's marriages. WILLIAM READ 1825: 1841 - 15 yrs, living with parents. Residing Park Farm at time of marriage to Ann Thorn. 1851 - 26 yrs, Agricultural labourer, dwelling Bucklers Hard, with wife and 2 children. 1861 - 1871 - 1881 - 56 yrs, widower, (b. Boldre) general labourer, dwelling Beaulieu, with 2 sons. 1891 - 65 yrs, widower, formerly carter on farm, living with son William and his family. Wife ANN THORN abt 1829: Daughter of Thomas Torn, labourer. Residing Park Cottages at time of marriager. 1851 - 22 yrs. WILLIAM READ abt 1850: 1851 - 1 yr, with family. 1881 - dwelling Longparish with wife and children. 1891 - 41 yrs, Grocer and miller journeyman, dwelling Beerhouse in the village, Meon Stoke, Hamp. with wife, 5 children and widowed father. ALFRED J READ: 1881 - 2 yrs, living with parents. 1891 - 12 yrs, living with parents. ANNIE READ: 1881 - 4 yrs, living with parents. CHARLES WILLIAM READ 1881 - 5 yrs, living with parents. 1891 - 15 yrs, living with parents. ESTHER READ 1891 - 7 yrs, living with parents. GEORGE F READ 1891 - 8 yrs, living with parents. KATE E READ 1881 - 7 mths, living with parents. 1891 - 10 yrs, living with parents. WILLIAM READ abt 1850 1881: 31 yrs, Miller, dwelling :Longparish St, Longparish, with wife, 4 children and visitors George and Fanny Cooper (26 b. Beaulieu). 1891: 41 yrs, Grocer and miller journeyman, dwelling Beerhouse in the village, Meon Stoke, Hamp. with wife, 5 children and widowed father. Other Read families from Beaulieu area. ANN READ abt 1836: 1851 - 15 yrs, general servant, living with parents. ANN READ abt 1841: 1851 - 10 yrs, living with parents. CHARLES READ abt 1801: 1851: 50 yrs, woodman, living Beaulieu Rails, Boldre, with wife and 5 children. 1881 - 80 yrs, widowed pauper from E Boldre, dwelling Boldre with son John. Wife ELIZABETH abt 1803: 1851 - 48 yrs. CHARLES READ abt 1834: 1841 - 1851 - 17 yrs, woodman, living with parents. CHARLES READ abt 1838: 1841 - 2 yrs, with parents. 1851 - 12 yrs, scholar, living with parents. CHARLOTTE READ abt 1840: 1841 - 1851 - 11 yrs, scholar, living with parents. ELIZABETH READ 1804: Her father a woodman at time of her second marriage. She was 50 yrs and he 58 yrs. Second husband a widowed labourer, son of Thomas, labourer. ELIZABETH READ 1841: 1851 - 9 yrs, living with parents. ELIZABETH READ abt 1841: 1841 - 3 mths, with parents. 1851 - 10 yrs, scholar, living with parents. GEORGE READ abt 1843: 1851 - 8 yrs, scholar, living with parents. HENRY READ 1811: 1851 - 39 yrs occupation, living Cripplegate, Beaulieu, with wife, and 6 children. 1861 - 54 yrs, farmer of 7 acres of land living Cripplegate, Beaulieu, with wife, 3 children and grandson, Edward 6 yrs. Wife SARAH abt 1806: 1851 - 43 yrs. 1861 - 55 yrs. JAMES READ abt 1837: 1841 - 4 yrs, with parents. 1851 - 14 yrs, agricultural labourer, living with parents. JAMES READ abt 1850: 1851 - 1 yr, living with parents. 1861 - 12 yrs, living with parents. JANE READ abt 1844: 1851 - 7 yrs, scholar, living with parents. JOHN READ abt 1835: 1841 - 7 yrs, with parents. 1851 - 16 yrs, agricultural labourer, living with parents. Wife ELIZABETH BOUND abt 1836: Daughter of Henry. She 21 at time of marriage. JOHN READ 1844: 1851 - 7 yrs, living with parents. 1861 - 16 yrs, living with parents. JOHN READ abt 1846: 1851 - 5 yrs, scholar, living with parents. 1881 - 32 yrs, living with widowed father. MARY READ abt 1834: 1851 - 17 yrs, living with parents. MARY READ abt 1849: 1851 - 2 yrs, with parents. Daughter of Stephen, shepherd at time of her marriage - husband residing St Lawrence, Southampton, a cellarman, son of James, a brewer. 1881 - husband a cellerman to wine merchant. NANCY READ abt 1837: 1851 - 14yrs, living with parents. SARAH READ 1846: 1851 - 4 yrs, living with parents. 1861 - 17 yrs, living with parents. STEPHEN READ abt 1813: 1841 - 25 yrs, agricultural labourer, dwelling Bovery, with wife and 4 children. Sarah Read 55, nurse in house also (presumeably mother). 1851 - 38 yrs, agricultural labourer, dwelling Bouveries, with wife and 8 children. Wife MARY abt 1813: 1841 - 25 yrs. 1851 - 38 yrs. THOMAS READ abt 1777? : Married by bann starting 5 Oct 1794. Married by bann starting 1 May 1808. Married by bann starting 25 July 1813. 1851 - 76 yrs, woodsman, dwelling Culverley, Culverley Extraparochial, with Sarah Read 64 yrs, servant b. Milton (Millow)?? and John White an errand boy b. Beaulieu. THOMAS READ abt 1796: Sarah signed her name, Thomas X at marriage. 1841 - 45 yrs, labourer, living with wife. 1851 - 56 yrs, agricultural labourer, Hilltop Extraparochial with wife. ( next on census from William and Mary Ann Read). Wife SARAH LETTY abt 1791: 1841 - 50 yrs. 1851 - 60 yrs. WILLIAM READ abt 1815: Son of Thomas, labourer at time of marriage. 1851 - 36 yrs, agricultural labourer, dwelling Sowley Pond Cottage, with wife and daughter. Wife LOUISA COOPER abt 1818: Daughter of Charles, labourer. 1851 - 33 yrs. ADA READ 1878: 1881 - 2 yrs, living with parents. AGNES READ 1880: 1881 - 7 mths, living with parents. ALFRED READ 1866: 1881 - 15 yrs, general labourer, living with parents. 1901 - coachman in Dibden Entire, Southampton. BESSIE READ 1876: 1881 - 5 yrs, living with parents. CHARLES READ 1868: 1881 - 13 yrs, living with parents. 1901 - carman in Dibden Entire, Southampton. CHARLES READ 1876: 1881 - 5 yrs, living with parents. ELIZA READ abt 1839: 1841 - 2 yrs, with parents. 1851 - 12 yrs, scholar, living with parents. ELIZABETH READ abt 1855: 1861 - 6 yrs, living with parents and siblings. ELLEN READ abt 1850: 1851 - 1 yr, living with parents. 1861 - 11 yrs, living with parents and siblings. ELLEN READ abt 1874: 1881 - 7 yrs, living with parents. EMILY READ abt 1843: 1851 - 8 yrs, scholar, living with parents. 22 at time of marriage - husband 32 yr old mason residing Southsea, son of William, labourer. FANNY READ abt 1846: 1851 - 5 yrs, living with parents. FREDERICK READ abt 1842: 1851 - 9 yrs, scholar, living with parents. 1861 - 19 yrs, agricultural labourer, living with parents and siblings. 1881 - 39 yrs, general labourer, dwelling 23 Albert St Southampton St Mary with wife and 7 children. Died aged 44.??? Wrong area. Wife ELLEN OSMAN abt 1844: 1881 - 37 yrs. 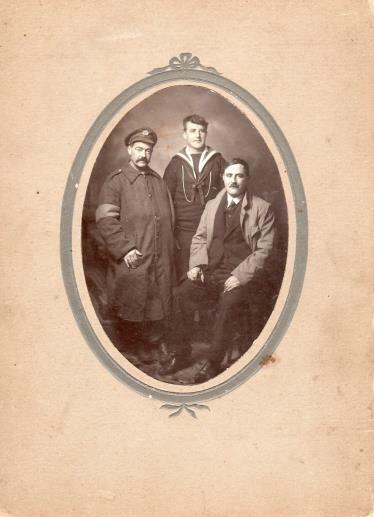 FREDERICK READ abt 1862: 1881 - 19 yrs, sailor (Vi), living with parents. 1901 - prof Cricketer, Dibden Entire, Southampton. FREDERICK READ abt 1870: 1881 - 11 yrs, living with parents. GEORGE READ abt 1837: 1841 - 4 yrs, with parents. 1851 - 14 yrs, with parents. 1861 - 24 yrs, agricultural labourer, living with parents and siblings. 1881 - 44 yrs, general labourer, dwelling Frost Lane, Fawley, with wife and 9 children. Wife MARY JANE abt 1841: 1881 - 40 yrs. HANNAH READ abt 1848: 1851 - 3 yrs, living with parents. 1861 - 13 yrs, living with parents and siblings. HENRY READ abt 1873: 1881 - 7 yrs, living with parents. 1841 - 35 yrs, sawyer, dwelling Harford Heath Cottage, Beaulieu with wife and 2 children. Next on census with same address is John (abt 1808) and Ann Read. 1851 - 44 yrs, sawyer, dwelling Harford Heath, Beaulieu with wife and 7 children. Next on census with same address is John (abt 1808) and Ann Read 1861 - 54 yrs, general labourer, Harford Copse Cottage, Beaulieu with wife and 6 children. Next on census with same address is John (abt 1808) and Ann Read. Wife SARAH BRACHER abt 1811: 1841 - 30 yrs. 1851 - 40 yrs. 1861 - 49 yrs. JAMES READ 1852: 1861 - 8 yrs, living with parents and siblings. 1881 - 28 yrs, agricultural labourer, dwelling Larytown, Fawley with wife and in-laws. 1901 - general labourer, Fawley. Wife CAROLINE abt 1857: 1881 - 28 yrs. JAMES READ 1864: 1881 - 17 yrs, bricklayers labourer, living with parents. JAMES READ abt 1869: 1881 - 12 yrs, living with parents. LOUISA READ abt 1871: 1881 - 10 yrs, living with parents. MATILDA READ abt 1880: 1881 - 1 yr, living with parents. THOMAS READ abt 1872: 1881 - 9 yrs, living with parents. WILLEY READ abt 1879: 1881 - 2 yrs, living with parents. m. m. 23 Apr 1850 m.
Walter James Emily George Winter? ANN MIRIAM READ abt 1849: 1851 - 2 yrs, living with parents. 1861 - 12 yrs, living with parents. Husband GEORGE FREDERICK GODFREY: French polisher at time of marriage, son of John, French polisher. ARTHUR READ abt 1865: 1881 - 16 yrs, woodcutter, living with parents. 1901 - woodman dwelling Beaulieu. EMILY CHARLOTTE READ abt 1847: 1851 - 4 yrs, living with parents. 1861 - 14 yrs, living with parents. EMILY READ abt 1879: 1881 - 1 yr, living with parents. FREDERICK READ abt 1866: 1881 - 15 yrs, scholar, living with parents. GEORGE READ abt 1835: 1851 - 15 or 16 yrs, living with parents. GEORGE WILLIAM READ 1857: 1861 - 3 yrs, living with parents. 1881 - 23 yrs, woodcutter, living with parents. A 25 yr old woodman at time of marriage. 1901 - gamekeeper domestic in Fawley. Wife ELIZA BROWN: A 26 yr old daughter of John, a shoemaker, at time of marriage. GEORGE WINTER? READ abt 1880: 1881 - 9 mths, scholar, living with parents. LOUISA READ abt 1852: 1861 - 9 yrs, living with parents. MARY READ abt 1854: 1861 - 7 yrs, living with parents. MARY ANNE READ abt 1861: She 31, residing Hilltop, and husband 29 yr old gardener, dwelling Shirley at time of marriage. James son of Matthew, lab. MARY ANNE READ abt 1861: 1861 - 10 mths, living with parents. 1881 - 20 yrs, domestic servant, living with parents. ROSALIND READ 1858: 1861 - 2 yrs, living with parents. SEYMOUR HARRY READ abt 1868: 1881 - 12 yrs, scholar, living with parents. THOMAS READ abt 1829: 1851 - 22 yrs, agricultural labourer, dwelling Beaulieu Rails, Boldre, with wife - next on census to Stephen and Charlotte Read, 1861 - 32 yrs, agricultural labourer, dwelling Otterwood Cottage, Beaulieu, with wife and 5 children. 1881 - 52 yrs, Woodman, dwelling Hummicks, Beaulieu, with wife and 2 sons. Wife MIRIAM abt 1827: 1851 - Marian aged 24 yrs. 1881 - 54 yrs. THOMAS READ abt 1861: 1861 - 5 mths, living with parents. 1881 - 19 yrs, general labourer, living with parents. THURSA READ 1837: 1851 - 13 yrs, living with parents. THURZA ANDREW READ abt 1854: 1861 - 7 yrs, living with parents. Both 25 at time of marriage. Thomas, a warden Winchester gaol. was residing Wyke, Winchester, son of Thomas, lab. THURZA READ abt 1856: 1861 - 5 yrs, living with parents. WALTER READ abt 1826: 1851 - 2? yrs, Agricultural labourer, dwelling Hilltop extraparochial, with wife and 2 children. 1861 - 36 yrs, dwelling Northgate, Beaulieu, with wife and 7 children - next on census to Francis and Mary Read, 1881 - 56 yrs, Woodman, dwelling Northgate, Beaulieu, with wife and 4 children. 1883 - woodman at time of George William's marriage. Died aged 56 yrs. Wife LOUISA abt 1823: 1851 - 28 yrs. 1861 - 38 yrs. 1881 - 58 yrs. Died aged 72 yrs. WALTER READ abt 1856: 1861 - 5 yrs, living with parents. A 21 yr old lab. at time of marriage. 1881 - 25 yrs, general labourer, dwelling Pennerley Rd, Beaulieu, with wife and 3 children. Wife FANNY FRANCES HARVEY abt 1851: 1881 - 30 yrs. A 24 yr old at time of marriage. Daughter of William, lab. WALTER JAMES SMITH READ 1877: 1881 - 3 yrs, scholar, living with parents. 22 yr old woodmanat time of marriage. Wife LILY TUPPER: Daughter of Frederick, gasman. Married aged 21 yrs. WILLIAM READ 1797: 1851 - 53 yrs, agricultural labourer, dwelling Hilltop extraparochial, with wife and 3 children. Wife LOUISA COOPER abt 1819: 1881 - widow, 62, domestic servant, dwelling Sowley Farm, Beaulieu with Wheable family. WILLIAM READ 1827: He unbaptised labourer, dwelling Hilltop at time of marriage. 1851 - 24 yrs, agricultural labourer, dwelling Hilltop extraparochial, with wife and 2 children. Woodman at time of Mary Ann's marriage in 1883. Wife Mary abt 1825: Residing Hilltop at time of marriage, daughter of James, lab. 1851 - 26 yrs. WILLIAM READ 1852: 1861 - 9 yrs, living with parents. WILLIAM READ abt 1856: He 25, residing Hilltop and she 27 at time of marriage.1881 - railway porter, 2 Beaulieu Station, Denny Lodge. Wife ELIZABETH ORRIS abt 1853: Daughter of William, labourer. HANNAH: Residing Furzy Lodge at time of marriage - her husband residing Gins - son of Thomas, labourer. STEPHEN READ abt 1788: 1851: 63 yrs, agricultural labourer, dwelling Beaulieu Rails, Boldre, with wife and visitor Edward Gregory, 16 yrs, Ag lab, b. Beaulieu. 3 spaces down from Thomas and Miriam (Marian) in 1851 census. 1861 - 74 yrs, Farm of 4 acres of land, dwelling Beaulieu Rails, Boldre withhousekeeper Elizabeth Corbe 60 yrs, b.Beaulieu. Next on census to Elizabeth Harding the mother-in-law of James and Eliza Read. Wife CHARLOTTE abt 1804: 1851 - 47 yrs. JOHN READ abt 1841: 1881 - Police pensioner, dwelling 15 Cumberland Mt, London. JAMES READ abt 1847: 1881 - widower, lodging in Boldre. 1901 - carter on fam, Boldre. JAMES READ abt 1857: 1881 - butler, High St, Lyndhurst. Alice Matilda Read dau of William, farmer, m. aged 26 to Samuel Sulfield Biddlecombe - 29 yr old farmer - father Benjamin, miller 18 Nov 1891 Beaulieu. Mary Read (widow) 61 yrs, daughter of George Tutt blacksmith, m. Thomas Carpenter, widowed Carter, son of Thomas, carpenter 20 Nov 1873. Ann Read (abt 1839) 21 yr old daughter of Wm m. Michael Rixon 28 yr old lab son of James lab - both residing Sowley.m. 4 Nov 1856 Beaulieu. Many thanks Sheila Arnold - nee Read for these photos and the extra family information - much appreciated.